Exhibition of textiles and embroidery from The Sreepur Village, Bangladesh and also from the rural areas. 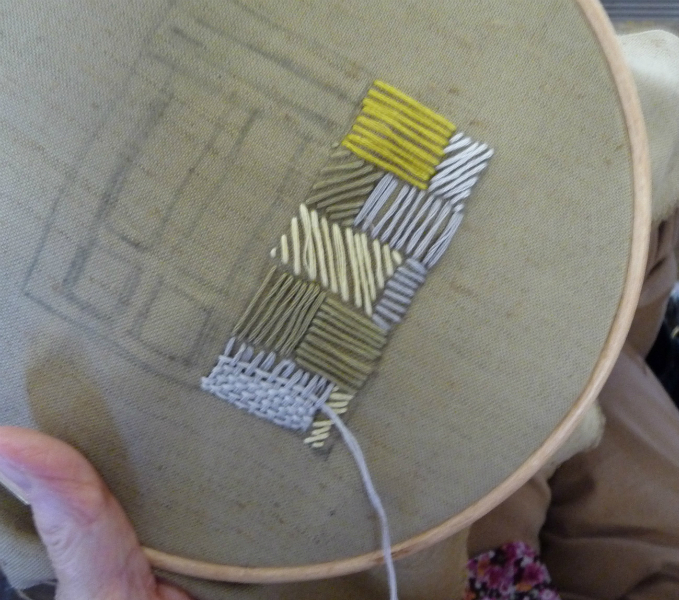 All this beautiful work is created in adverse poverty by amazing women. There will be hand made cards, silk scarves and other gifts for sale. 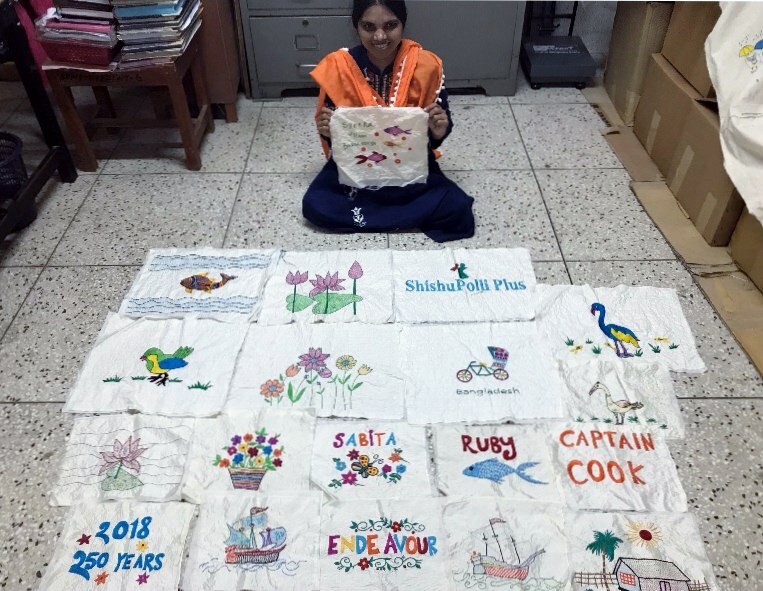 All proceeds will go to the 600 children and 150 destitute mothers who live at Sreepur, plus the Street Children project we run on the railway, the river banks and at Dhaka airport. Millions of street children live literally on the streets in Bangladesh. 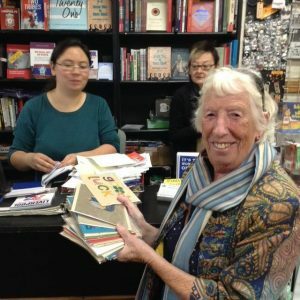 Ruby Porter MBE (trustee) will be in attendance each day from 10am-4pm to talk about her voluntary work in Bangladesh over the last 27 years. 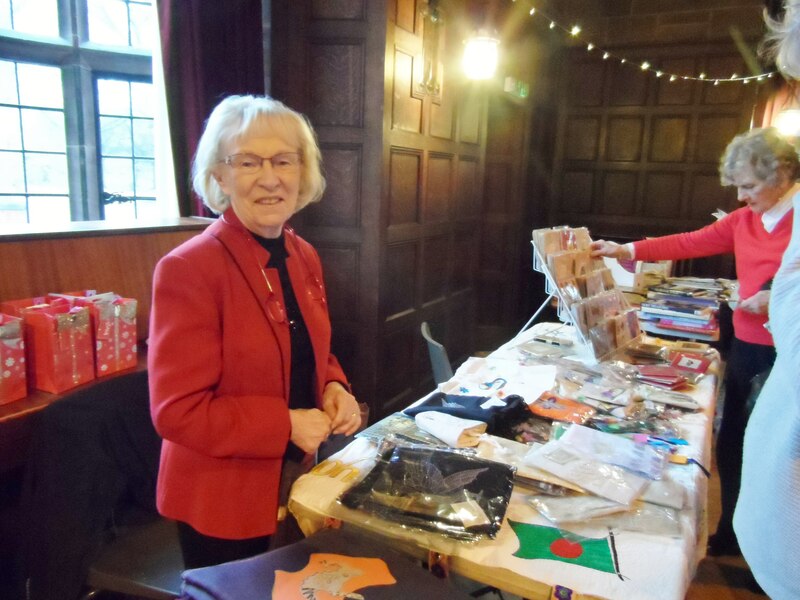 Kathy was in attendance with the Sreepur Stall at Merseyside Embroiderers’ Guild Christmas Fun Day on 1st December. 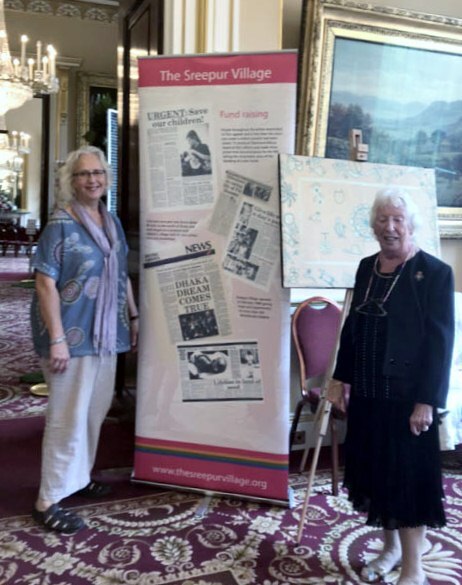 Rubina Porter MBE says- “May I say thank you to all our members for supporting our Sreepur stall at the recent Christmas event you are all so kind. We raised £223.00, it is amazing! The Threading Dreams exhibition in Calderstones Park has just ended. Ruby reports that they had an excellent week at the Readers Gallery . 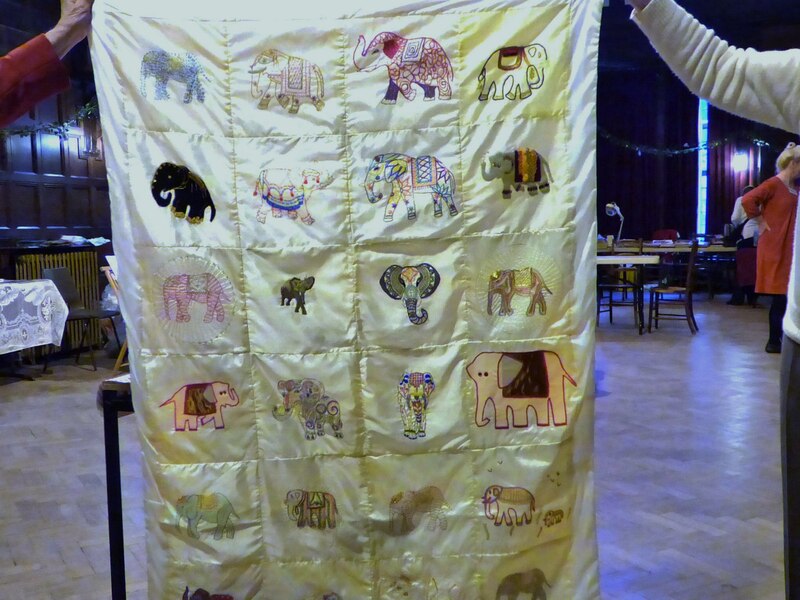 She says “we had lots of lovely visitors admiring our new silk wall hangings from Sreepur and we raised £1000. Very much appreciated”. Here are some photographs of the exhibition and the new wall hangings …. Did you know that News From Nowhere, 96 Bold St, Liverpool L1 4HY stock Sreepur cards? Here is Ruby topping up supplies with staff from News From Nowhere. 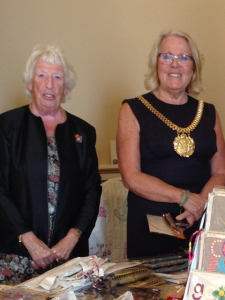 Yesterday Ruby met Gill, who is Secretary of Wirral branch- and today she met Liverpool Lord Mayor Cllr Christine Banks. They are all pictured in front of the Sreepur Endeavour quilt. 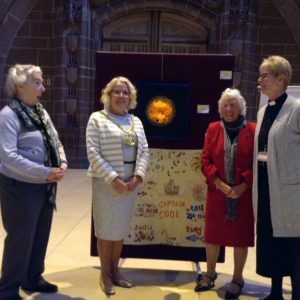 Rubina Porter MBE and Sabita Akter are both members of Merseyside Embroiderers’ Guild, although Sabita lives far away in Sreepur, Bangladesh. 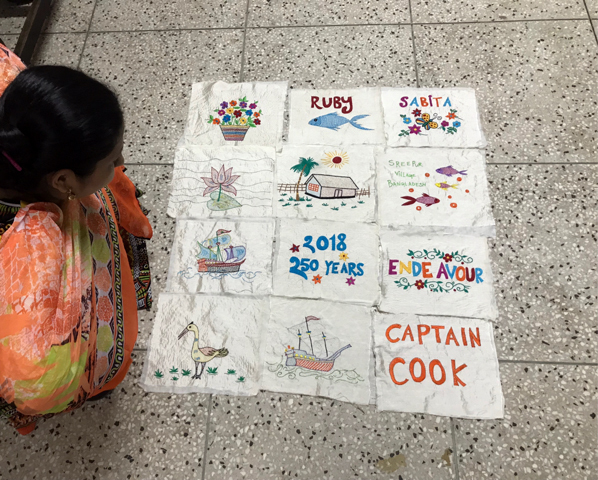 Sabita embroidered a quilt to celebrate the 250th anniversary of the first voyage of exploration made by Captain Cook and the Endeavour to Australia and New Zealand in 1768. Ruby has also added some interesting history about Sabina with photos when she was a child. Threading Dreams exhibition and Sreepur stall at Liverpool Town Hall has now ended, and Ruby raised £1840.00 for Sreepur charity. 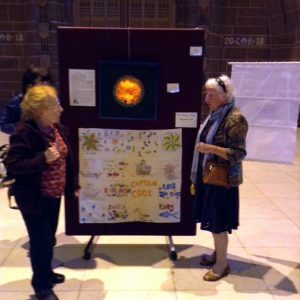 The Threading Dreams exhibition and charity stall is in Liverpool Town Hall until 24th August. There will be hand made cards, silk scarves and other gifts for sale. 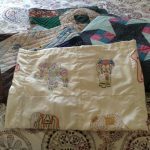 All proceeds go to help the 600 children and 150 destitute mothers who live at Sreepur. Yesterday Ruby was delighted to welcome Lord Mayor of Liverpool Cllr. Christine Banks to the exhibition. The exhibition went so well -we raised £1335.00. It is amazing! People are so kind, they found it all so interesting listening to me talking to them about my work at Sreepur. The cathedral staff and volunteers were all so helpful and supportive to me, it was a pleasure to be with them all. We had local people and visitors from all over the world- even the Queen Elizabeth liner passengers paid us a visit. It was lovely to see Mary and John, Dame Sarah Storey’s parents, as Dame Sarah is one of our patrons. Finni, our granddaughter, who is studying at the Glasgow School Of Art, came along to help. Thanks to all for your support, and here are some photographs from the exhibition. 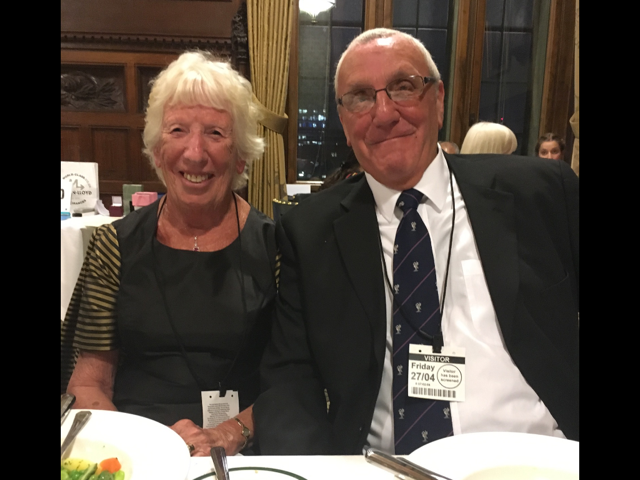 Rubina Porter MBE and her husband Ken had an excellent evening when they attended a Sreepur fundraising dinner in the House of Commons, Westminster on Friday 27th April. They hope to raise £20,000 for the mothers and children in Sreepur. Ruby reports- “I met lovely people and it was a most enjoyable event”. 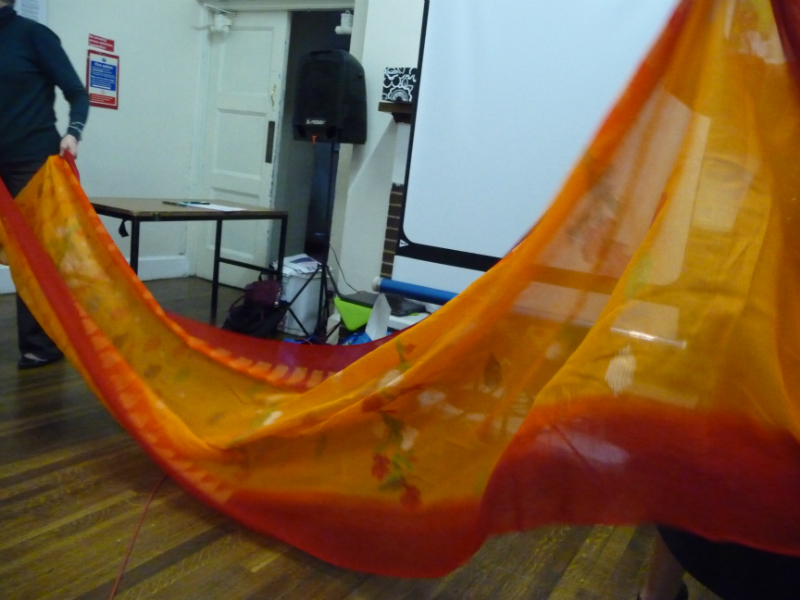 Sreepur Threading Dreams exhibition at St Barnabas Church, Penny Lane, was excellent. 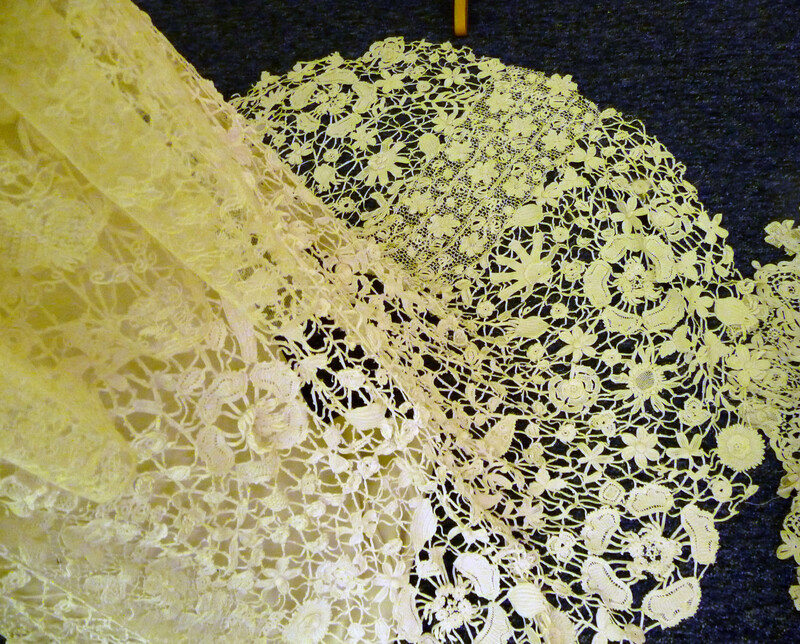 There were lots of lovely visitors, and they loved the bookmarks, scarves, and shoe bags which all sold well. We had short films from Sreepur showing the amazing work by amazing women. A lovely few days and we raised £450.00. 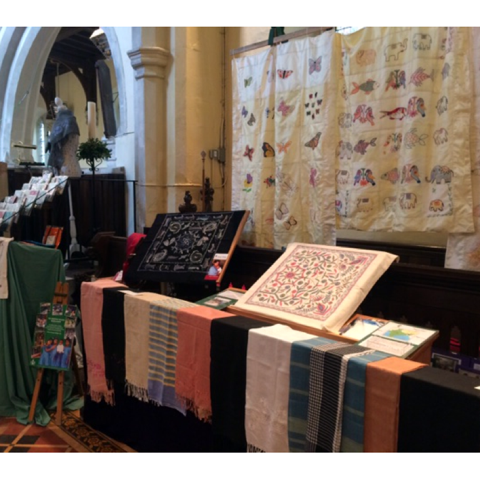 Ruby has sent us a photo of the beautiful Sreepur silk hangings on display at St Johns Church, Waterbeach, near Cambridge last Saturday. 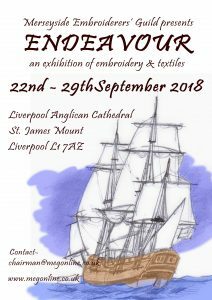 Ruby says “Our members may be interested in this exhibition to be held in Walker Art Gallery, William Brown St, Liverpool L3 8EN from 19th January to 20th May 2018. The Singh Twins came to talk to our branch some years ago- so interesting. At the end of the talk they said they would like to donate their fee to to me for the mothers and children at Sreepur and they have kept in touch. Such lovely ladies Amrit and Rabindra, both excellent artists. 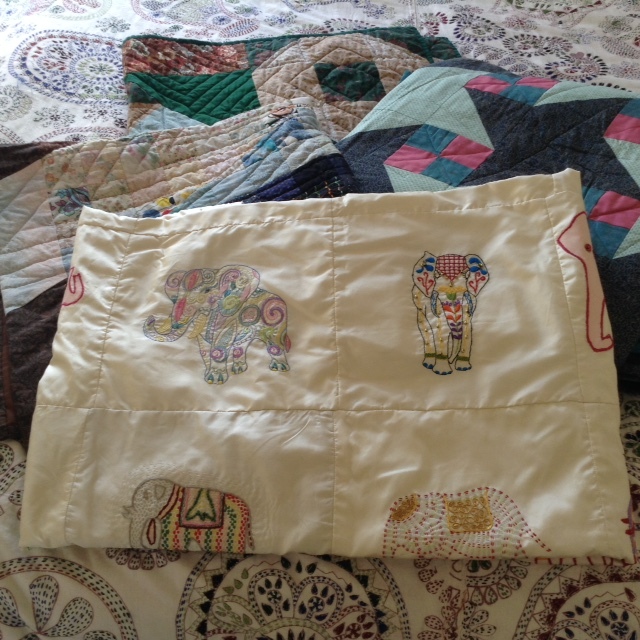 They are all delighted to win the beautiful quilts. We raised over £1000 for the mothers and children at Sreepur – how kind.